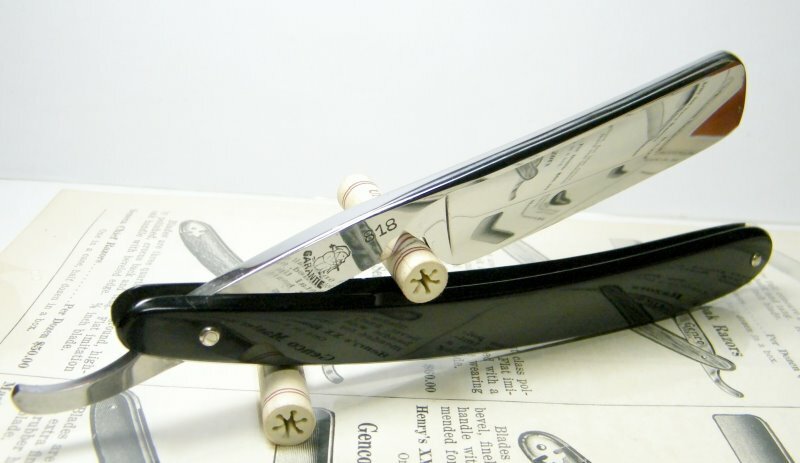 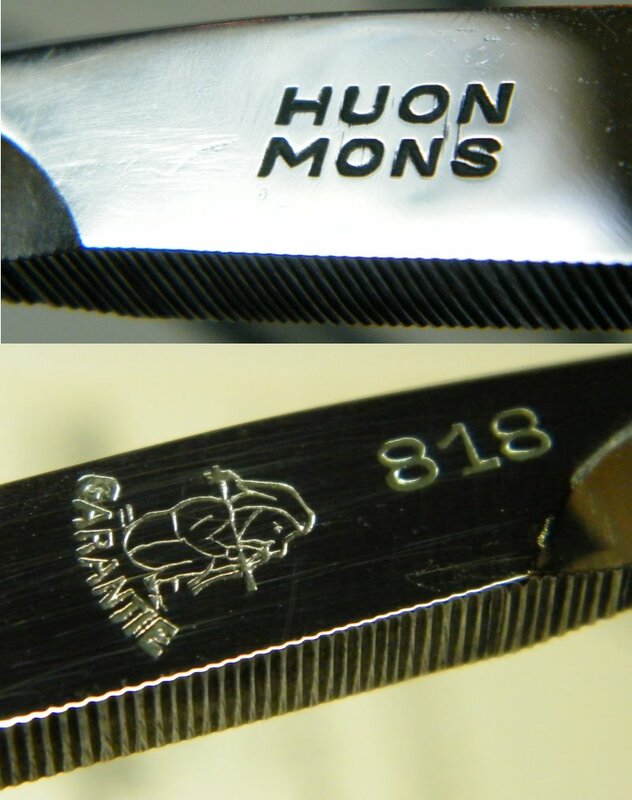 STRAZORS.com - all about classic razors - Huon Mons 818. 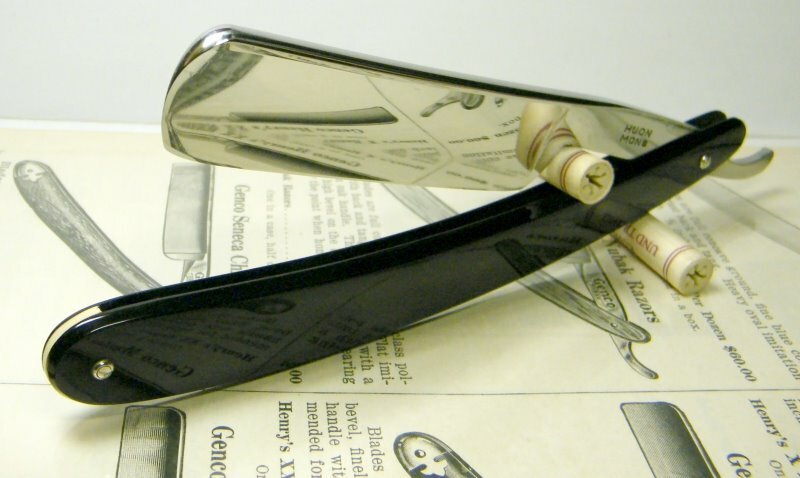 The razor was made by Friedrich Baurmann & Söhne, founded in 1880, located Solingen: Beethovenstrasse 76 in 1939, Sandstrasse 27 in 1983. 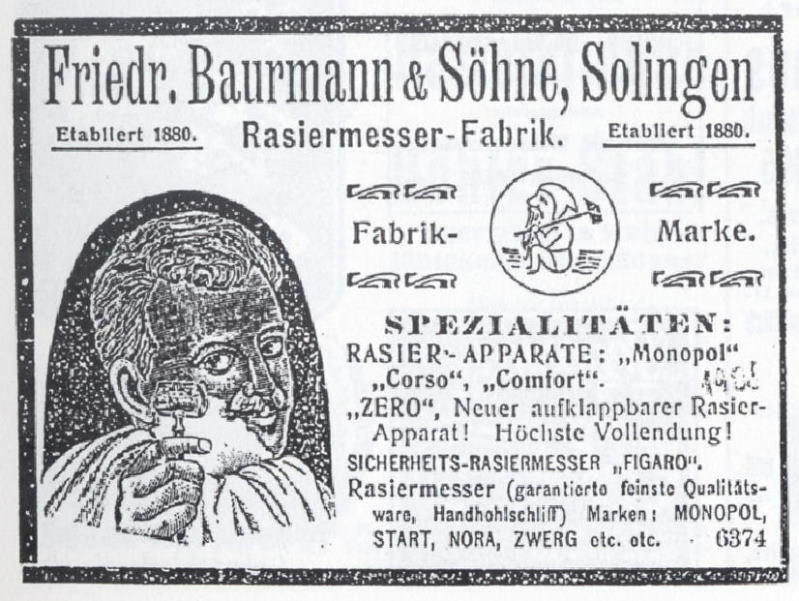 Brand names: 'Alecto' (1904), 'Ambidexter' (1907), 'Aviator' (1909), 'Baurmann' (1900), 'Carbonese' (1912), 'Clanor' (1905), 'Comfort' (1896), 'Corso' (1901), 'Ducado' (1913), 'Figaro' (1896), 'Karbono' (1909), 'Marbest' (1910), 'Monopol' (1894), 'Nora' (1903), 'Orchid' (1904/5), 'Peter Hahn' (1926), 'Raola' (1907), 'Safacto' (1904), 'Start' (1903), 'Sunrise' (1904/5), 'Yilin' (1913), 'Zerbo' (1903), 'Zwerg' (unknown; registered elsewhere in 1924).